Slow Cooker Asian Pork Lettuce Wraps are the perfect meal when you want a flavorful meal, but don’t want all the guilt. 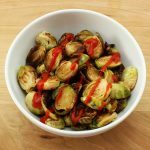 Low-carb and low-fat! Weight Watchers friendly recipe- 5 SmartPoints! It’s no secret that I like things stuffed or wrapped. Tacos, stuffed peppers, enchiladas, anything! Meals like this really appeal to me because they are filled with a variety of ingredients and when combined together, make magic happen in my mouth. I enjoy making meals where I can really be creative with the ingredients I use… it makes me happy! My Slow Cooker Asian Pork Lettuce Wraps are perfect when you have a craving for those beloved Asian flavors but don’t want all the guilt! These lettuce wraps are packed with flavor, have a little bit of spice, and perfect when you need need to ditch the bread and tortillas. This is a Weight Watcher friendly recipe and two wraps are only 5 SmartPoints! Aside from Mexican and Indian inspired food, I love Asian food. You’ll notice a lot of the meals I have posted are Asian inspired. 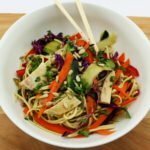 I quickly started to like Asian food once I began my Weight Watcher journey because it’s easy to make Asian food guilt free and healthy but still delicious. 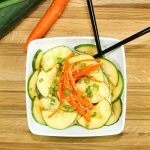 You can replace noodles with zucchini noodles; you can replace white rice with brown rice… lots of swaps y’all! 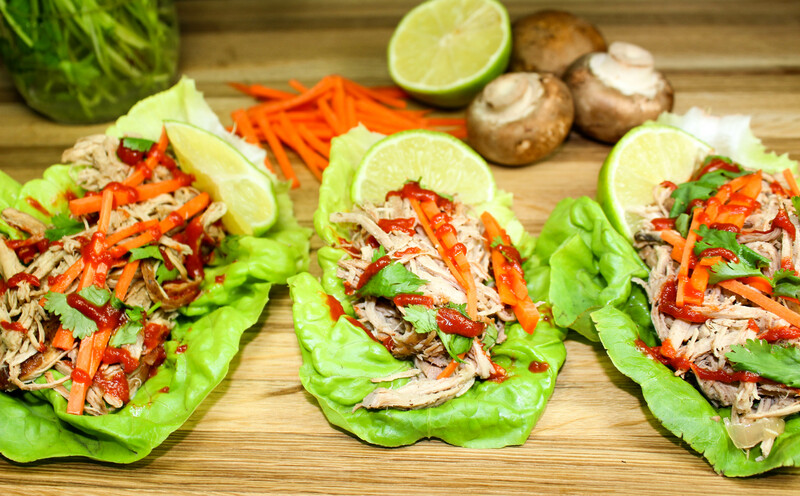 Lettuce wraps a great way to get all the Asian flavors you love into a guilt free meal. Tender pork wrapped in crisp lettuce and topped with fresh veggies… delicious! Restaurant quality meal made right at home! This is a great make ahead meal; in fact, when I make this I usually do the meal prep on Sunday. This meal is not too complicated and fairly easy to make. The hardest part here is waiting for the pork to cook! 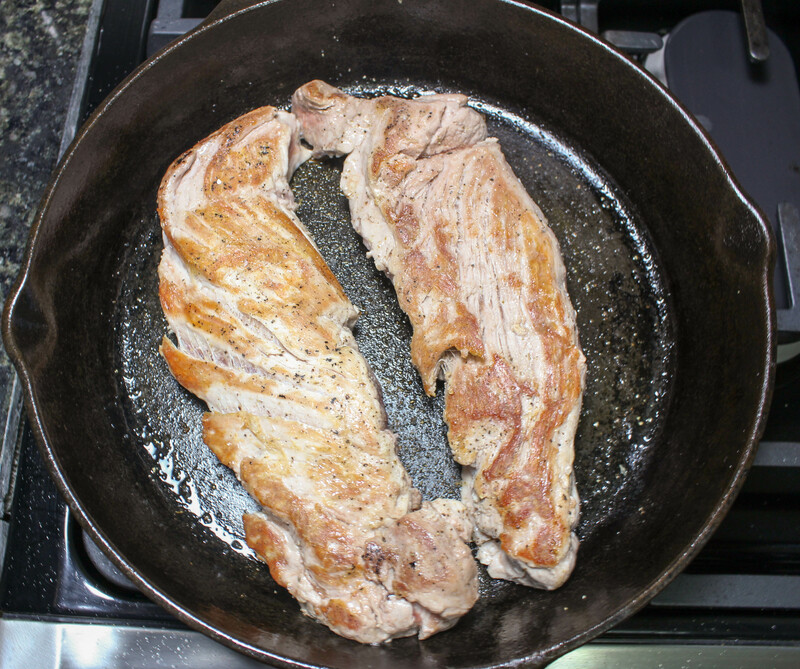 Anytime you are cooking meat in a crock pot, always sear or brown the meat in a cast iron skillet (or any skillet) before adding to the cooker. I’m telling you, this adds TONS of flavor and it will only take about 15 minutes to do. 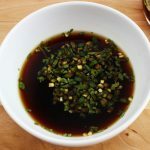 Once the pork tenderloin is seared on each side, add to a crock pot along with water, soy sauce, mirin, ginger, fish sauce, diced onion, and vinegar. Let this cook for either 4-6 hours on High or 8-10 hours on Low. The longer the meat cooks, the better!! After the meat has cooked, remove the pork and shred. 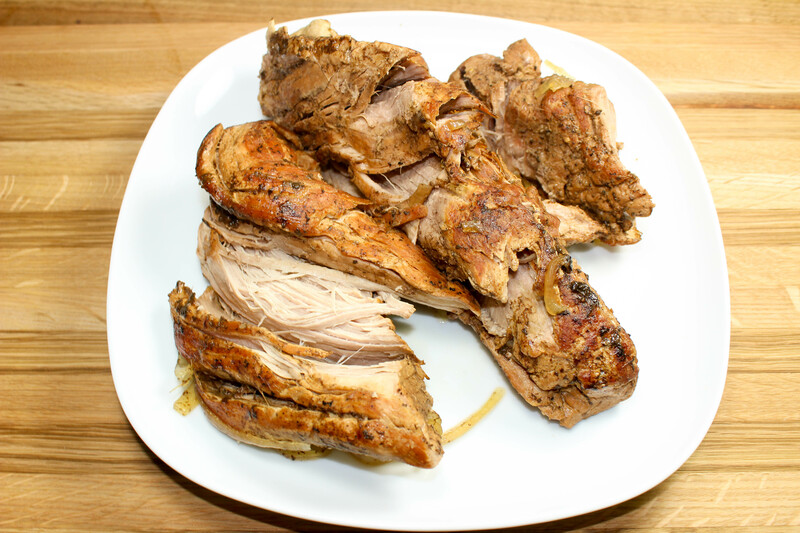 The pork will be so tender, it will basically fall apart, which is what you want! Dice up the mushrooms and add to the crock pot along with the shredded pork. Cook for another 20 minutes or so. Mushrooms can get soggy if they are soaked for too long so it’s best to add them to the liquid at the very end so they do not cook for that long. While the meat and mushrooms are cooking, prepare the toppings. Easy peasy! Slow Cooker Asian Pork Lettuce Wraps are the perfect meal when you want a flavorful meal, but don’t want all the guilt. These wraps are packed with classic Asian flavors without the fat or carbs. Make the pork ahead of time and you’ve got yourself a quick weeknight meal! Heat cast iron skillet (or any skillet if you do not have a cast iron skillet) over medium high and add canola oil. Add pork and sear all sides of pork for about 7 minutes each side. Slice onion into thin slices and set aside. In crock pot, add water, soy sauce (or tamari), mirin, ginger, soy sauce, fish sauce, vinegar, and onion. Add pork and cook on high for 4-6 hours or low for 8-10 hours. After cooked time has passed, remove pork and set aside. Cut mushrooms into ½ inches pieces and add to crock pot. Shred the pork and add back to the crock pot. Let cook on low for 20 minutes. Dice cilantro, shred carrot, and set aside. Lay piece of lettuce on flat surface, scoop pork mixture into center. Topped with shredded carrot, cilantro, Sriracha, wrapped in a lettuce wrap. Sub for whole wheat wrap instead of lettuce for more SmartPoints. Great make ahead meal! Cook pork on Sunday and eat all week long. The shredded pork is freezer friendly! September 27, 2016 at 1:31 pm Low maintenance and high deliciousness.. just hot I like my dinners! Love love love this recipe... adding to my dinner menu ASAP! September 28, 2016 at 9:03 am I love low maintenance meals to Karly! Let me know how the meal turns out! Thanks for commenting.